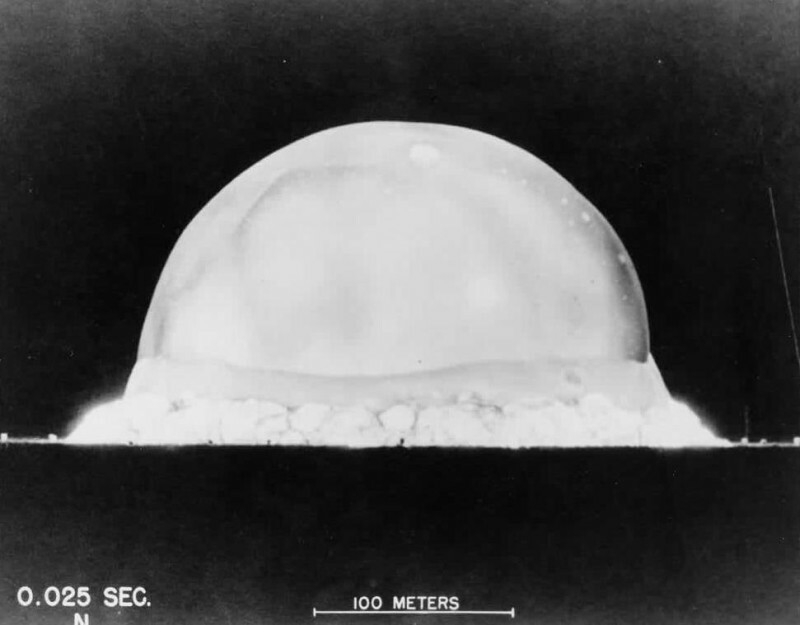 Seventy years ago today the age of the atom bomb began with the Trinity Test and a gigantic mushroom cloud in the New Mexico desert. The Art of War, ascribed to Sun Tzu who may or may not have existed, was not written as a guide to advancing up the management structure of insurance companies, but it is now a staple of management literature. Robert Greene’s The 48 Laws of Power enlisted a whole host of historical figures, from Joseph Duveen to Madame de Pompadour, in the cause of imparting hints on rising up corporate ladders. “Change management” gurus endlessly cite Heraclitus and Marcus Aurelius out of any context. It is surprising that a more recent example of management genius has not become more cited than it is. 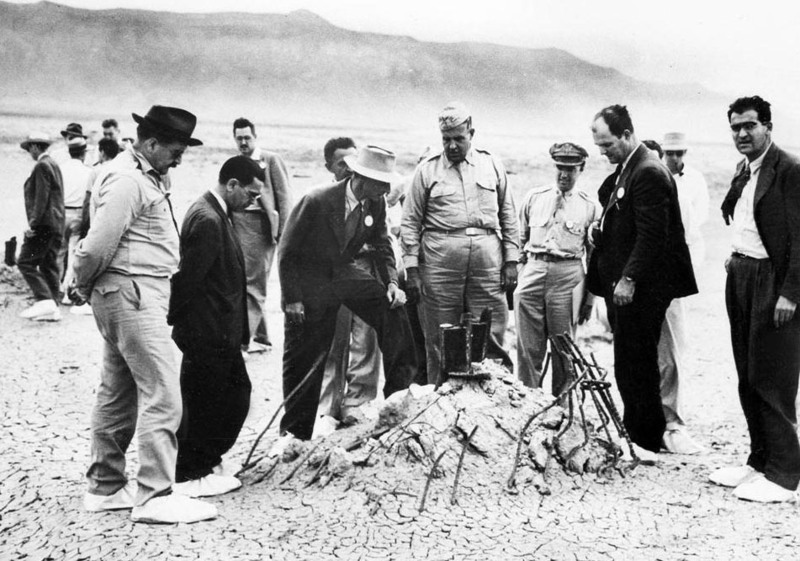 The atomic age began at 5.30 am on July 16th 1945, at Alamogardo, New Mexico, with the Trinity Test, the first successfull detonation of an atomic bomb. Three weeks later, Hiroshima would experience the second detonation. The Trinity Test is indelibly associated with the famous footage of Robert Oppenheimer looking tragic and solemn, and declaring that in the immediate aftermath of the test, he thought of the words of the Bhagavad Gita, “I am become Death, the Destroyer of Worlds”. Oppenheimer is invariably the focus of much of the discourse around the atomic bomb’s development, but the overall project was directed by Major General Leslie Groves of the US Army Corps of Engineers. In artistic treatments of the birth of the bomb, Oppenheimer is cast as Faust, or Prometheus, with Groves as Mephistopheles or simply an uptight bureaucrat. This is the mode of James Thackara’s “America’s Children”, of John Adam’s opera “Dr Atomic”, of the Paul Newman/Dwight Schulz vehicle “Shadow Makers”. While perhaps artistically satisfying, and hinting at perennial themes about the hubris and nemesis of human achievement, this tends to obscure that what was initially known by the codename Development of Substitute Materials and later the Manhattan Project (as the Corps of Engineers component was part of the Manhattan Engineering District was a gigantic technical problem that became an enormous moral and political one. As Peter Hennessy points out in his introduction to The Secret State, his scholarly study of the elaborate network of bunkers and security installations drawn up by Whitehall in response to the nuclear threat of the Cold War, the men and women who worked on nuclear war were not parodic Dr Strangeloves but ordinary enough human beings. When it comes to considering the existence of nuclear weapons, wringing our hands and saying how unimaginable it all is and how much we’d like to vomit (a la Martin Amis in “Thinkability”) is not a long term policy. Groves was a kind of genius as much as Oppenheimer; a genius of logistics and organisation. 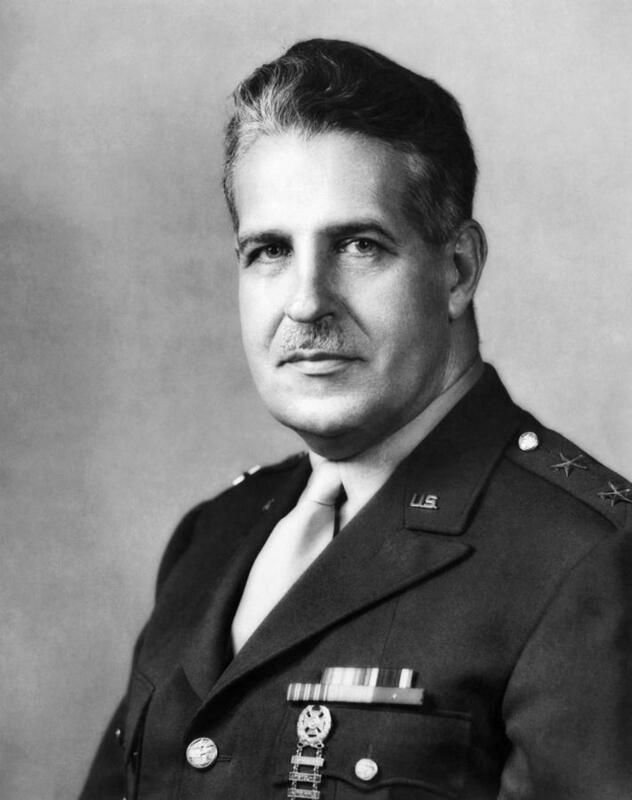 Having restored Managua’s water supply after a devastating 1931 earthquake, and then built the Pentagon, he was the logical choice for managing a project as gigantic and as the Allied atomic bomb project (the British project codenamed “Tube Alloys” was subsumed into the Manhattan Project over time). Of course, thanks to Klaus Fuchs, the Soviets knew about the bomb from before the start. After the war, Groves received a comeuppance from future President Dwight D. Eisenhower, who informed him that he would never lead the Corps of Engineer and presented him with a detailed account of complaints about his arrogance, irascibility, blatant manoeuvring for promotion and power and general disagreeableness. Of course, these may well have been the qualities that made him great. Realising that no project as big would ever come along again, Groves retired from the army in 1948 and after various rather half hearted corporate gigs, wrote his memoir Now It Can Be Told in 1962. Now It Can Be Told is a compelling read about project management, about how Groves pre-empted (in his account) the bureaucratic wrangles. Groves generally refers to the project by its proper Corps of Engineers’ acronym MED. There is pretty much zero hand wringing about the ethics of whole enterprise, and not much on the science. It is a somewhat straightforwardly-written with a few flashes of wry humour, but above all replete with gems of project management wisdom. As a matter of fact, we never had much trouble with government regulations and so called “red tape”, probably because whenever we encountered potential difficulties, we did not resort to letter-writing through channels. Instead, a competent officer was always sent immediately to the trouble spot with orders and authority to resolve the problem. I was astounded to learn how thoroughly unsatisfactory the relationships were between G-2 [military intelligence] and OSS. AS I was leaving at the close of our discussion, Donovan remarked that I was the first general office who had ever come to see him in his officer. He appeared to be quite touched by this and insisted on personally escorting me out of the building and sending me back to my office in his own car, even going so far as to insist on holding the door for me while I got in. Buxton told me afterward that OSS would have supported us fully in any case, but my call ensured the utmost in special treatment for the MED …. Going out of our way to establish initial contacts with other organisations and individuals through calls by senior personnel, instead of by letter or telephone, was common practice in the Manhattan Project. Groves spends a lot of time on the nature of organisational power: “As I pointed out to Senate committee, ever since the failure of the tribunes of Rome no executive group has ever functioned well.” Interestingly in the light of subsequent events with Eisenhower, in one passage he recounts how then-Undersecretary for War Robert Patterson and General Eisenhower specifically refused to be given secret information: “As General Eisenhower put it, ‘I have so many things to deal with that it puts an undue burden on me to be given any secret information, as I am then forced to think constantly about what is secret and what is not.’ Later, with Senatorial criticism that too much reliance was being placed on Groves, this policy changed, to Patterson and Eisenhower’s regret and Groves’ relief. Groves’ memoir also covers Project Alsos, the Allied operation to discover how much progress Nazi Germany had made on its atomic bomb project, and an equivalent operation regarding Japan. The latter led to a public relations issue about the destruction of Japanese cyclotrons, which was not what the MED wanted at all. Various miscommunications and misunderstandings became public knowledge (this was November 1945) and Groves, as well as reflecting on the difficulties of absorbing new and untrained staff, illustrates a basic principle of media management: “The press as a whole seemed quite surprised by this frank and open admission of error. As a result, this incident quickly lost its news value and the clamor soon subsided… the basis truth was demonstrated here again, that honest errors, openly admitted, are sooner forgiven.” Of course, this is coming from a man who had presided over one of the most secretive projects of all time. First, we had a clearly defined, unmistakable, specific objective. Although at first there was considerable doubt whether we could attain this objective, there was never any doubt about what it was. Consequently the people in responsible positions were able to tailor their every action to its accomplishment. Second, each part of the project had a specific task. These tasks were carefully allocated and supervised so that the sum of their parts would result in the accomplishment of our overall mission. This system of compartmentalisation had two principal advantages. The most obvious of these was that it simplified the maintenance of security. But over and above that, it required each member of the project to attend strictly to his own business. The result was an operation whose efficiency was without precedent. Third, there was positive, clear-cut, unquestioned direction of the project at all levels. Authority was invariably delegated with responsibility, and this delegation was absolute and without reservation. Only in this way could the many apparently autonomous organisations working on the many apparently independent tasks be pulled together to achieve our final objective. Fourth, the project made maximal use of already existing agencies facilities and services – governmental, industrial, and academic. Since our objective was finite, we did not design our organisation to operate in perpetuity. Consequently, our people were able to devote themselves exclusively to the task in hand, and had no reason to engage in independent empire-building. Fifth, and finally, we had the full backing of our government, combined with the nearly infinite potential of American science, engineering and industry, and an almost unlimited supply of people endowed with ingenuity and determination. ← Who owns American History? “Alsos” was a neat tribute to Grove, being Greek for “grove.” It would not have been lost on the Europeans at least on the Manhattan Project. Ulam’s memoirs state that when when John von Neumann heard of Oppenheimer’s quotation from the Bhagavad Gita he said “Some take blame to claim credit.” Certainly Oppenheimer unusually combined scientific with administrative ability. Please look again at the first picture showing Trinity Shot tower remains and the people standing at the epicenter of the nuclear blast. Which of them died of cancer? Oppenheimer did for one. What about others who did put covers on their shoes but were breathing the air and touching the ground with the highest level of radiation. It was then and is now still a secret how many people directly involved with production and testing of this bomb died of cancer. As you know factories producing material for nuclear weapons and nuclear plants are open. What is life expectancy of workers in those factories today? Your answer to this will give us scale of this problem nobody wants to talk about. Also, it will help us answer more important question: do we really need nuclear energy to survive?